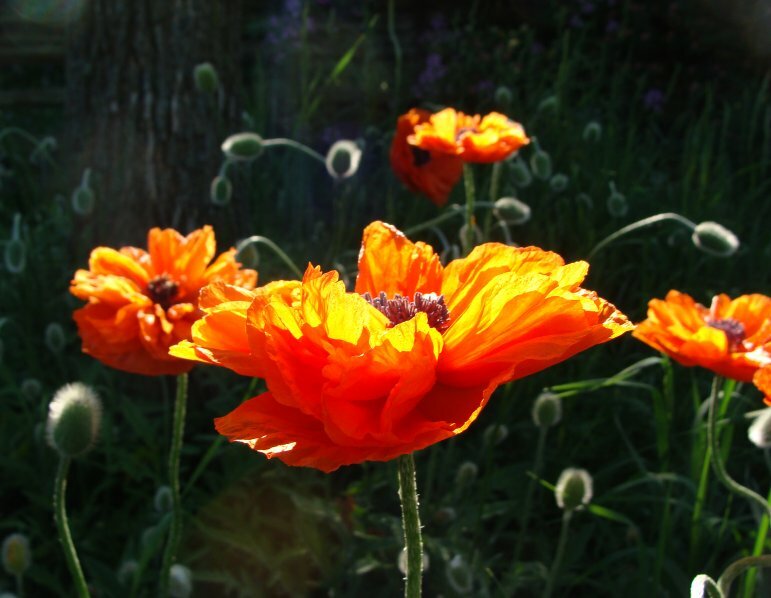 I've featured these poppies before, but make no apology for showing them off again. The other photo from this morning is of a completely different subject. There were four of these turkey vultures on the barn roof just now. Not the prettiest of creatures, but they are performing a useful function in clearing up the remains of the rats! Oh my, stunning photo of the poppies! That's amazing. 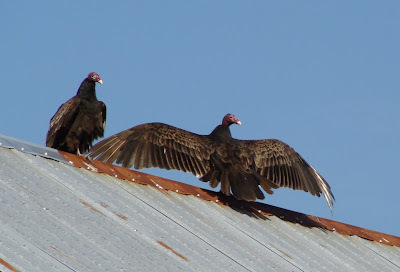 We've got a pair of turkey vultures in the creek here in Oakville - I'd never seen a close-up - they're remarkable. Very pretty poppy shots - you can never have enough poppies or shots of them. Poppies are my favorite! But those birds scare me! YIKES!